The story behind each one of the over 90 million jars of SKIPPY® produced each year begins with farmers. Glenn Cox and his daughter Casey work a few hundred acres of land along the Flint River in Mitchell County, Ga. At 25 years old, Casey, who is still learning to run the family farm from her parents, will be the sixth generation on the same land. 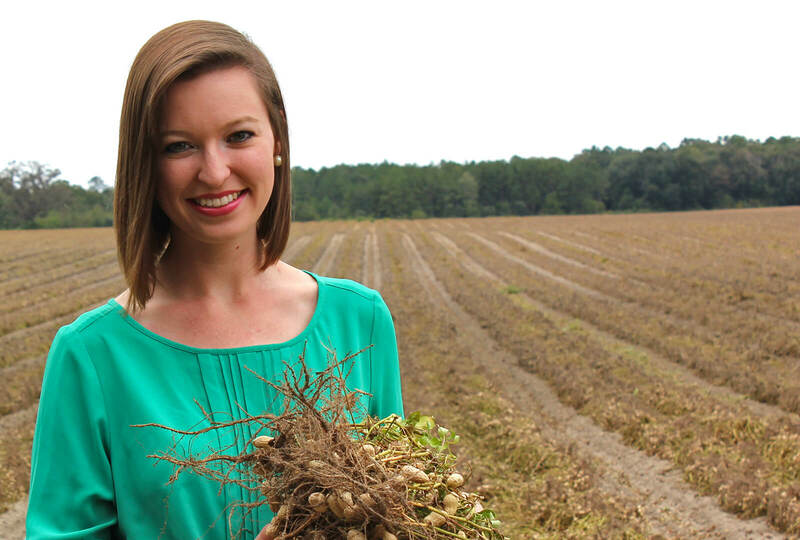 Their farm, which they call Longleaf Ridge, has been producing peanuts for close to 100 years. It’s hard to describe, but for someone who’s grown up on a peanut farm, there is no nicer smell. 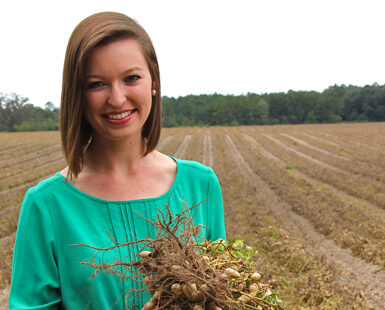 Longleaf Ridge is one of about 25,000 peanut farms across the South. They grow the Runner variety, which is found across Georgia, Texas, Alabama, South Carolina and Oklahoma, and is the type most commonly used for making peanut butter. The Runner is slightly smaller than the Virginia, the type of peanut you might get at a ballpark, but the Runner’s uniform kernel size makes it superior for uniform drying and roasting. The season begins as soon as spring gets a firm hold on the weather. A couple weeks after planting, Casey and her father check on the peanut plants poking out of the soil, each with four little leaflets that look a bit like clover. After about 40 days, the plant flowers and then does something quite rare in the botanical world. The flowers fade and are replaced by tiny stems that reach back down into the soil, where they grow individual peanut pods a couple of inches under the surface. In the end, each planted seed will produce between 25 and 50 new peanuts. After about five months, it’s time for the two-stage harvest to begin. A “digger and shaker” machine is pulled across the field. It cuts the tap root, lifts and shakes off the soil and inverts the plant so the peanuts can begin their drying process with two or three days in September sunlight. Another machine then separates the peanuts from the plant and the haul is loaded into container trucks and shipped to a buying station. The sheller is the next stop. The family of David and Charles Birdsong also have a long history in the peanut business. They represent the fourth generation of shellers and now run Birdsong Peanuts, the largest sheller in the country. 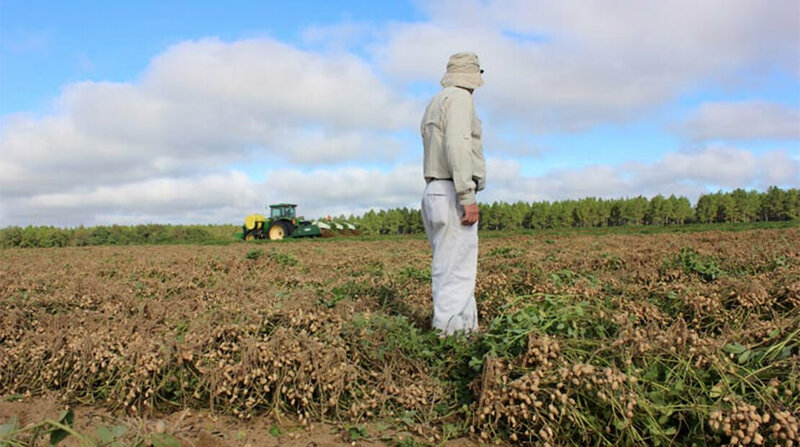 Birdsong runs six massive plants throughout the peanut-growing region and 85 buying stations where farmers can deliver and sell their product. 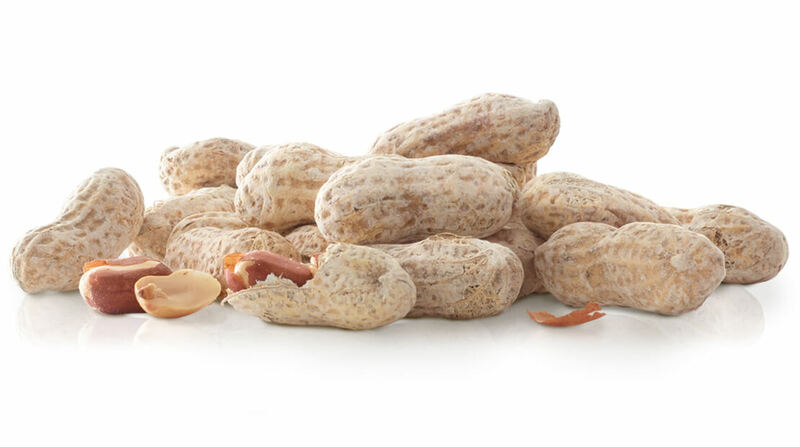 Together, their plants have enough cold storage capacity to keep over 250 millions pounds of shelled peanuts. The peanuts come into the facility in large truckloads. 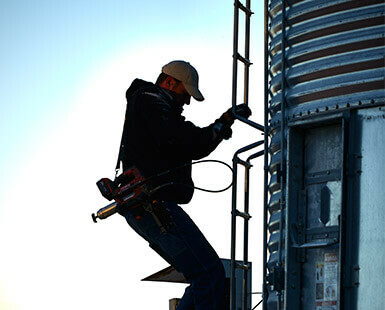 If there is too much moisture to begin the shelling process, large heated fans are hooked up to special vents in the trucks to dry them out. The next step is to remove any excess soil, plant material or other debris. The peanuts are then sent through a machine that removes the shells. Electronic color sorters identify and remove any spoiled peanuts. “Every few years there is a significant advance of the technology,” says Charles Birdsong. Being middle-men in the supply chain, the Birdsong brothers feel a strong bond to both the farmers and the communities they support and the companies, like Hormel Foods, that they supply peanuts to. Roger Vos, the Skippy Foods plant manager in Little Rock, Ark., does not come from a long line of people in the peanut business. 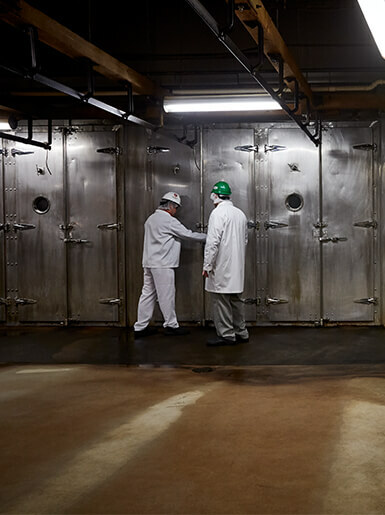 As a 32-year veteran of Hormel Foods, however, he’s spent much of his working life overseeing key departments at a variety of food processing facilities. 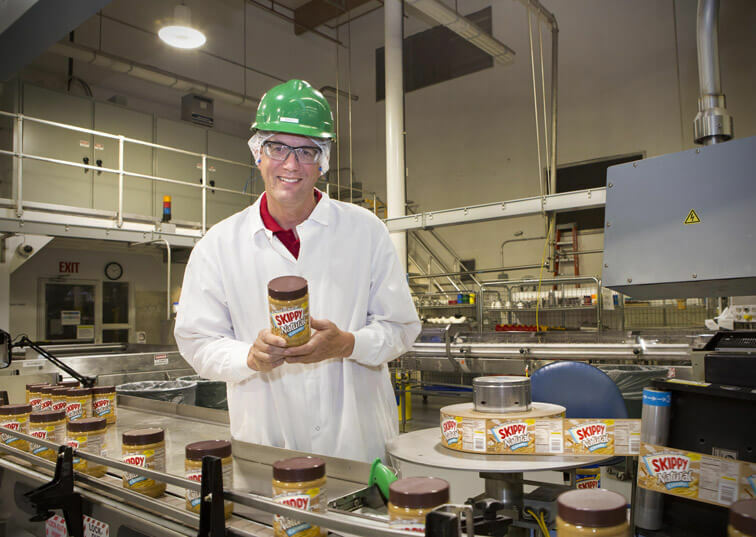 Although he’s no stranger to large-scale production, when he first toured the Skippy Foods facility a few years back, he was floored by the scale. In the Skippy Foods plant, the shelled peanuts first travel through a hot air roaster, and are shaken and roasted evenly. This machine turns the peanuts from a pale color to light brown. Next, the blancher removes any outside skins. The nut is split and the hearts, which have a slightly bitter taste, are removed. The peanuts are then ground into a paste and combined with some salt, a little sugar and vegetable oil to stabilize the mixture.